Light, which is 38,000 square feet, is the first-ever nightclub turned on by Cirque du Soleil, merging cutting-edge creativity with incredible music to produce a new kind of nightlife experience. Headlining DJs such as DJ Irie and Dyro lead the charge, coupled with exclusively built performance elements & a gigantic LED screen showing visuals, innovative video mapping, lighting, sound & special effects, as well as avant-garde costumes & unique choreography. 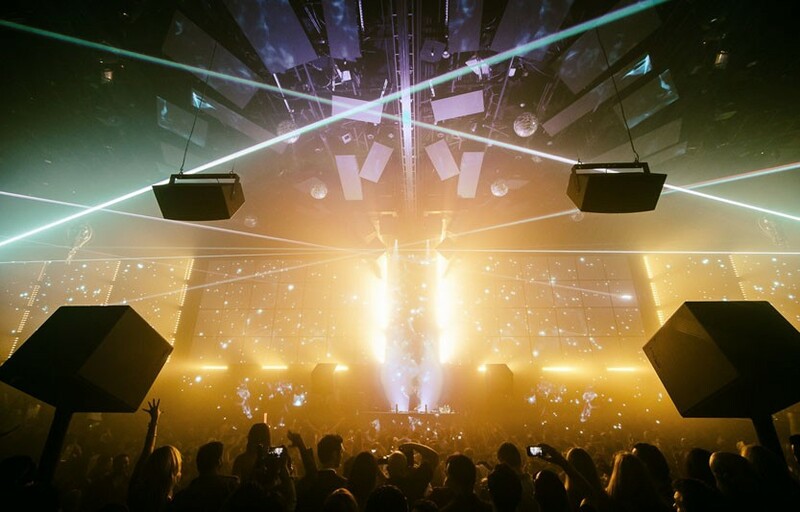 Light is a must see venue leaving you with a truly unforgettable night. The 2nd tier tables at Light may very well be the best value play for bottle service in Las Vegas. Its a Discotech go-to. Light has the best professional dancers and club performers out of any nightclub in Las Vegas – featuring Cirque Du Soleil dancers. The state of the art LED screen is over 2 stories tall and provides the best light show in Vegas. Light doesn’t always have the most popular DJs but makes up for it with stunning visuals and a unforgettable Cirque Du Soleil performance. Light is located right through the doors of the valet coming from the parking lot in The Hotel. Once you enter you’ll see it on your left. Tell your cab driver that you’re going to Light to ensure that you’re dropped off at the correct entrance. How much is cover charge at Light? General admission at the door starts at $20 for ladies and $40 for gentlemen on regular nights – expect more on holidays and special events / top tier DJs. How long will I have to wait at Light? Average wait times are around 30 min – 1 hour on Fridays and Saturdays. Wednesdays are generally much shorter. If it’s not a night with top tier talent your wait times will generally be much quicker. Light is open from 10 PM – 4 AM on Wednesdays, Fridays and Saturdays. What are the best nights to go to Light? Wednesday is industry night at Light. Fridays and Saturdays are both great choices. What is the dress code at Light? Unless you’re getting bottle service, better to err on the side of caution. Collared shirt / jeans / dress shoes for guys. Avoid anything that can be considered sportswear (track jackets, jerseys, sneakers, hats, etc). If you are getting bottle service you will have some more leeway. Better be safe than sorry – nothing kills a buzz faster than getting turned down at the door! How much do drinks cost at Light? 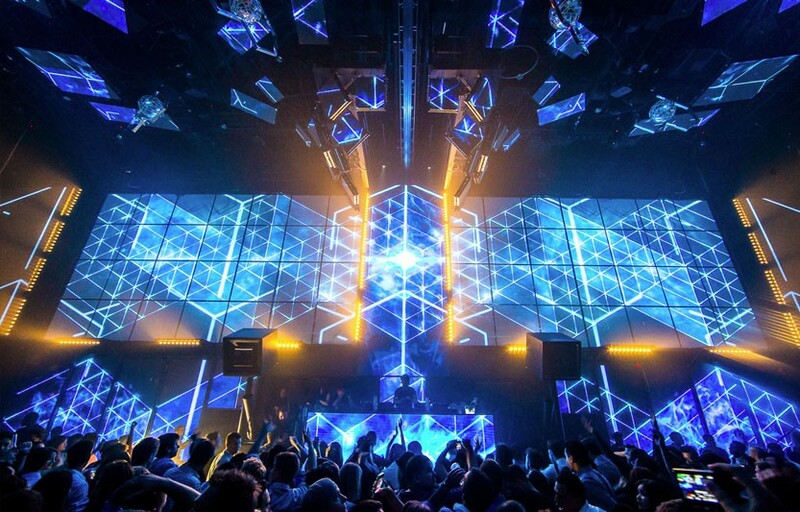 Light’s 2019 resident DJs includes DJ Irie and Dyro. What kind of music do they play at Light? Light is almost always exclusively electronic dance music. Where can I find an list of upcoming events / DJs at Light? You can download the Discotech app to see upcoming events, get on guestlists, book tables, and buy tickets for Light. You can also visit Light’s website for a current list of events. In which hotel is Light located? Light is located in the Mandalay Bay Hotel. Looking for VIP offers and comps at Mandalay Bay? Check out URComped.com to find a Casino Host at Mandalay Bay.